When you are working on an online project, anything from collaboration to testing services and task management can add a lot to your productivity. 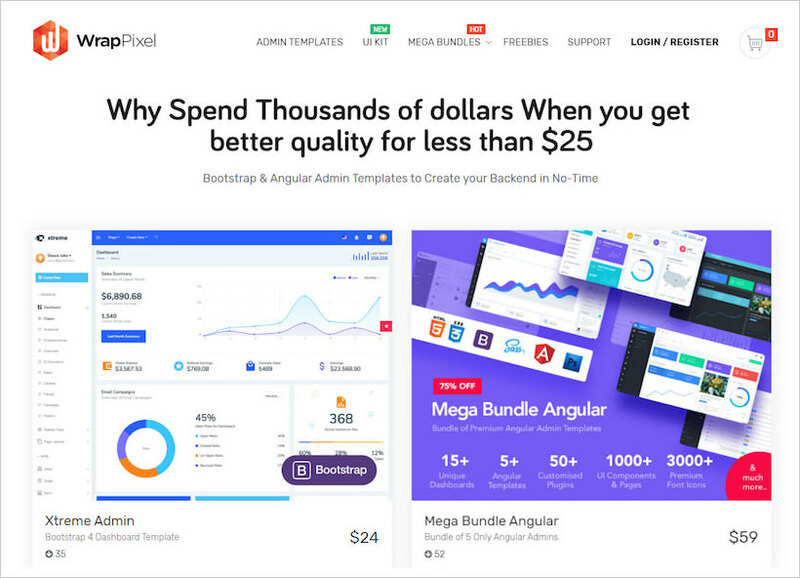 Fortunately, there are tons of tools that can help us do online projects faster and better. However, there are so many on the market, that it’s difficult to know which one will be a perfect fit for our needs. After a good long research, I have created from scratch this showcase of web tools and services for designers and developers with which they can speed up their online projects. There are WordPress themes, website builders and testing services, invoicing and much more. Check it below and share your opinions. There is no need to install additional plugins for the basic features. You are packed with everything you need. No need for previous experience or coding skills. Anybody can have a directory website like Yelp, FourSquare, Zomato and any other. Express install and demo import functions that help you build a directory website in seconds. The regular license is $69 and it includes 6 months technical support, easy setup assistant, 1-Click demo import, free lifetime updates and a detailed documentation that will guide you step by step. With Userfeel anybody can quickly run a website usability check for an affordable cost and the process is literally outstanding. The panel consists of more than 20,000 testers speaking 40 languages. You can even have testers provide comments in your language while testing a website that is on a language you don’t understand. Practically you “hire” one or more testers to test your website and you will get a video in less than 24 hours. You will see how a tester is experiencing your website. You can filter testers by various demographic criteria like age, gender, country, language and web experience. Userfeel helps you create highlights video with the most critical issues in minutes and have the video downloaded locally or uploaded to your YouTube account as unlisted, ready to share. The one-off payment of $49 for desktop tests, or $99 for mobile/tablet tests with NO further monthly or annual fee! 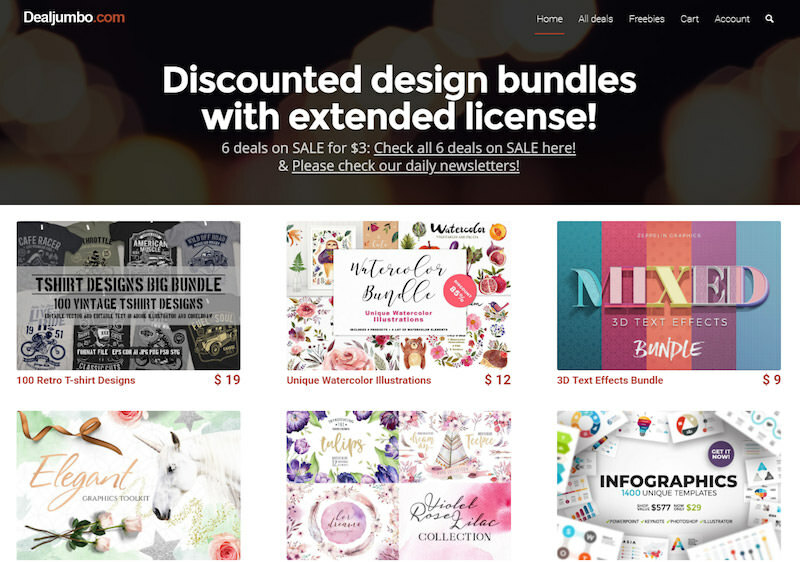 DealJumbo is a design bundles website literally packed with tons of awesome things. Some of the deals can be found only on DealJumbo as they are having exclusivity with some of their partners. You will find premium fonts, graphics, mock-ups, a section with discounts, products under $10 and more. The deals come with an exclusive extended license, meaning that you can use for an unlimited number of commercial projects. 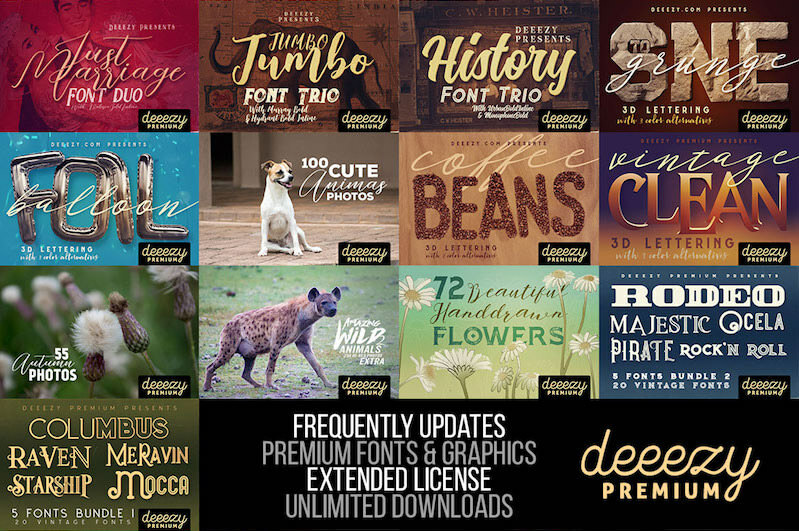 You can also download 1580+ free fonts and graphics – all with standard commercial license. 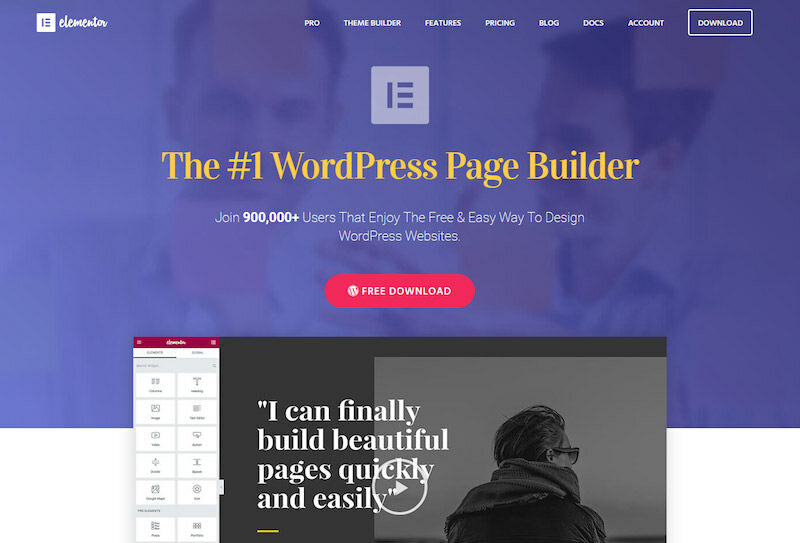 Brizy is one of the best WordPress page builders in the market that can quickly help anybody build gorgeous websites in minutes. You simply arrange the 150 pre-made design blocks or just build your website from scratch – both ways are super simple and do not require any coding skills. 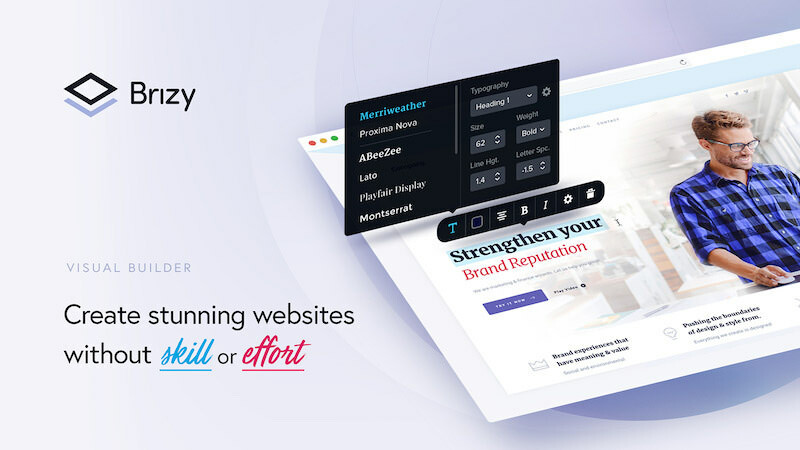 Brizy can be tested for free on the website (you can save the HTML of what you create for free and use it anywhere you like, personal or commercial projects). I personally found that the results look amazing and compete with the premium WordPress theme. Deeezy is a design deals website where web professionals can find awesome free and premium fonts, graphics, vector and other elements for a fraction of the normal cost. The website is loaded with interesting stuff that you can use in your projects. 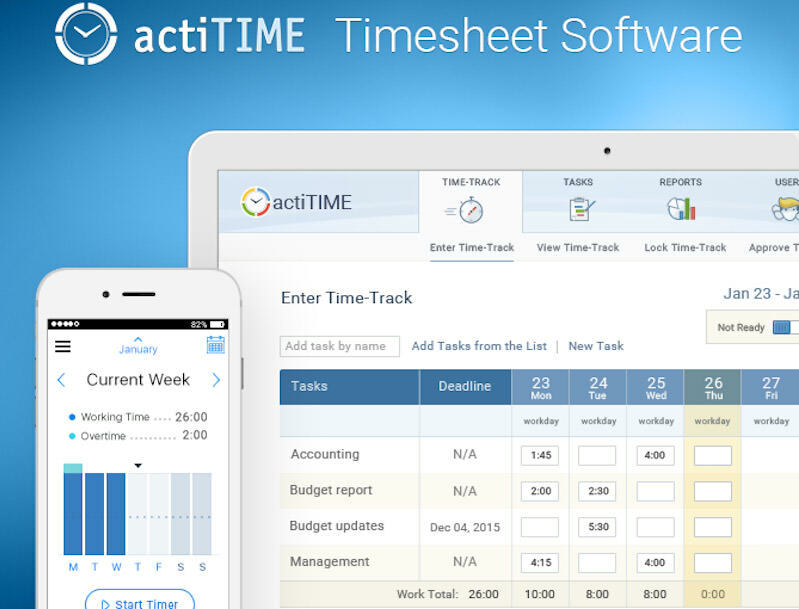 actiTIME is a popular and powerful online project time tracking software that allows users to track time, register leaves, and add comments in a weekly timesheet. In just a few clicks, you can configure the time tracker to suit your needs and hide the features you don’t want to use. Do try the demo. 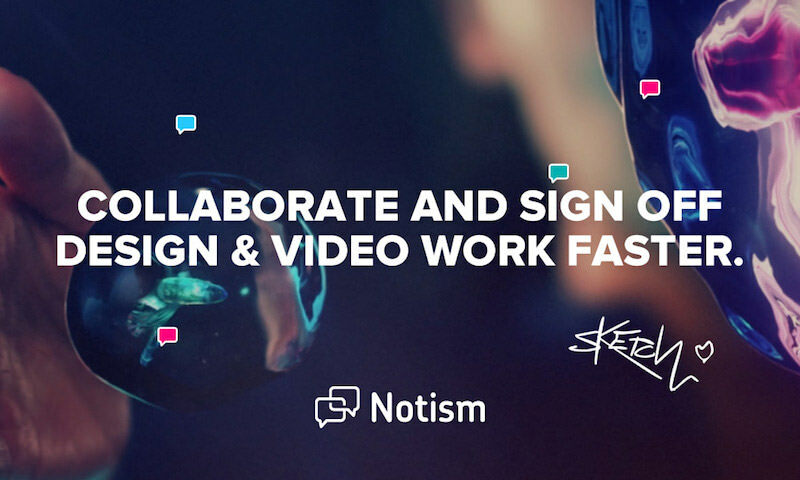 Notism is a great collaboration tool that offers a simple and effective way to discuss visual content and collaborate with teams and stakeholders. 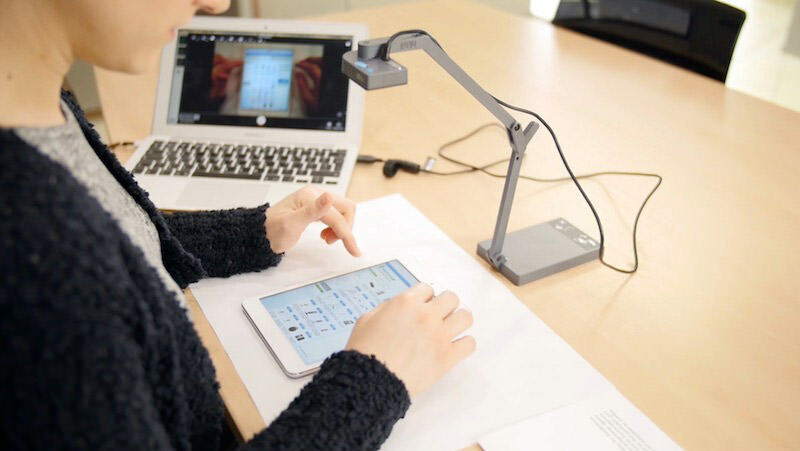 You can comment and sketch in real-time, create prototypes and run usability-tests and manage project development by adding tasks. In almost every company there is more than one field of work where Notism can save you tons of time. Goodie is a web development service where developers actually deliver high-end websites for a fixed cost which starts from $999. The website guarantees that you will get a code of basic, functional, responsive website for this starting price. Cost of additional features like custom plugins, animations or more advanced elements will be estimated. If you also need a design – they can help with that as well. Check the websites they have made on their page to get a better idea of their skills and creativity. 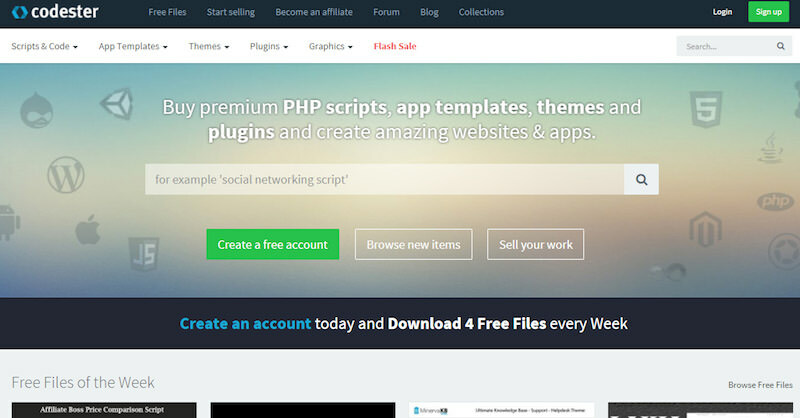 Codester is the one-stop shop for web designers and developers where they can buy and sell PHP scripts, website themes, plugins, graphics and much more. You should always check the Flash Sale section where great stuff is being sold with huge discounts. 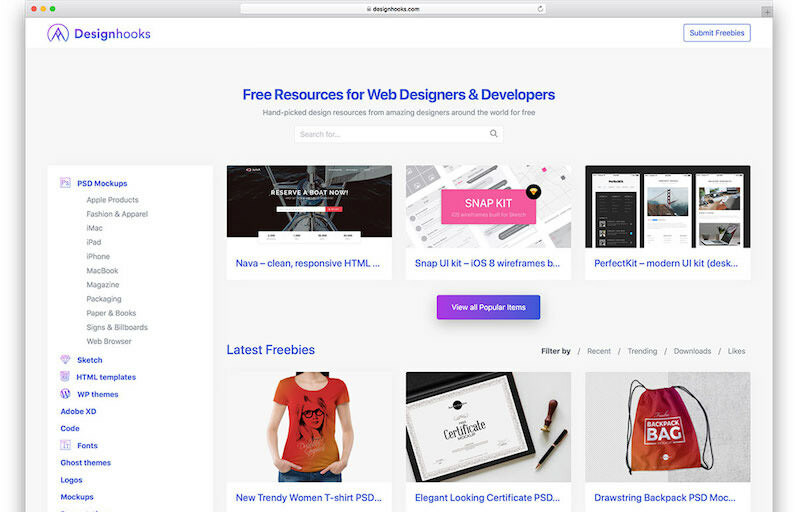 Desinghooks is a brilliant, very well-structured website which is loaded with free resources for web designers and developers. 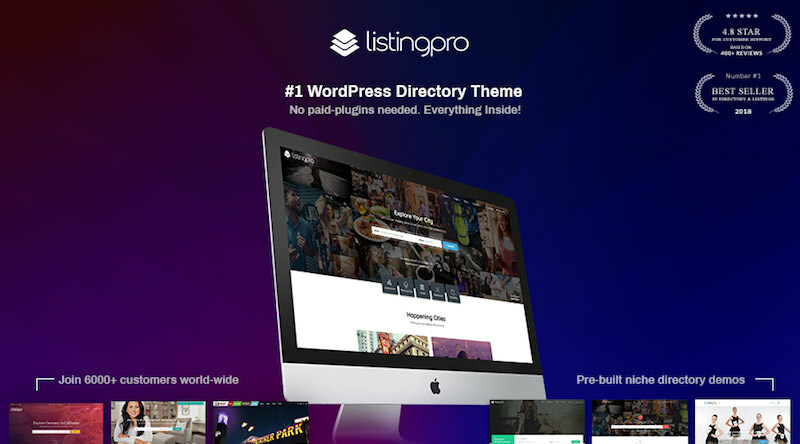 All the resources are handpicked from amazing designers around the world and very well categorized so you can easily find what you are looking for. 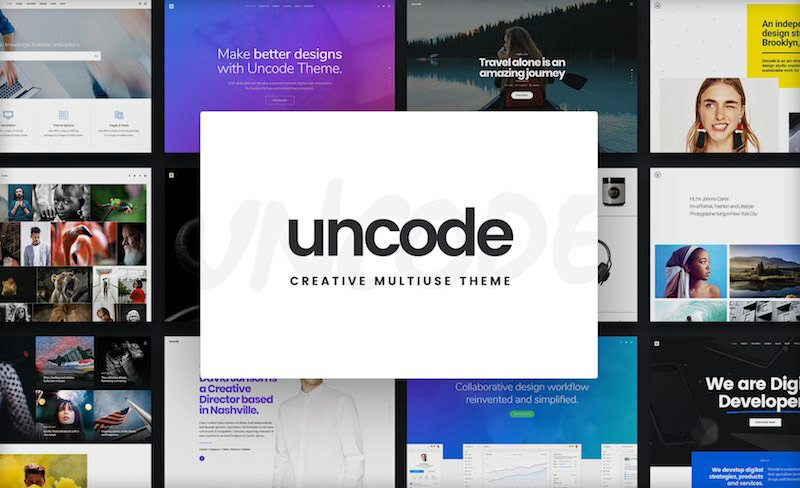 Uncode is a pixel perfect WordPress theme that anyone can use without writing a single line of code to create stunning WordPress websites. It’s among the most flexible themes, with 50 pre-made Concepts and 200 layouts. Only imagination is the limit. Using the powerful Pixpa drag and drop builder, you can quickly create a gorgeous portfolio website with integrated e-commerce, client proofing, and blogging tools. No need to have any prior experience or coding skills. It’s super simple to use and it is loaded with everything you need. You can try Pixpa for free for 15 days. No risk, and No credit card required. 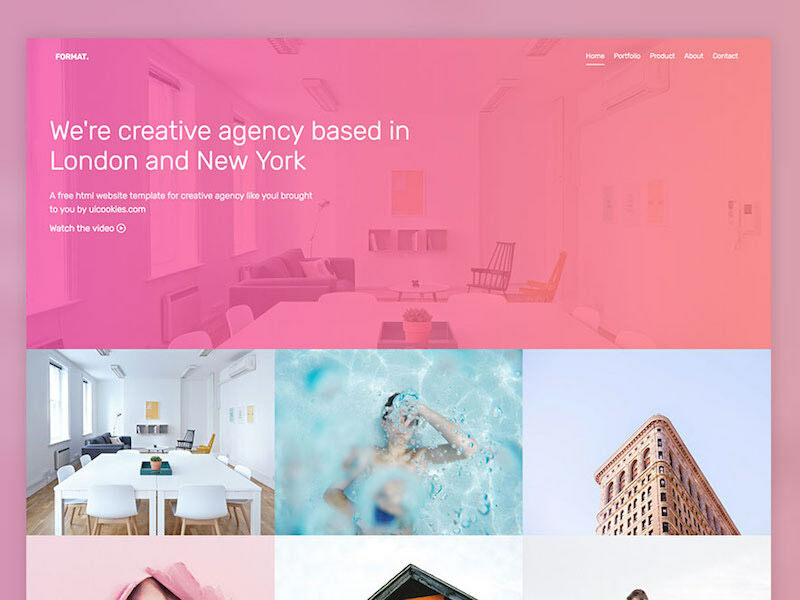 Format is a free gorgeous website template that is a perfect fit for designers, agencies, web studios and freelancers. Its pixel-perfect design, included features and easy to use interface makes it compete with premium, expensive themes. 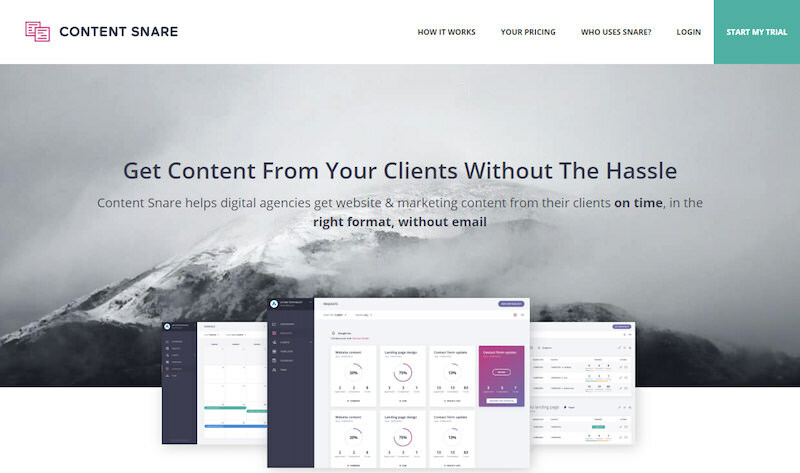 ContentSnare will help you get content from your clients without the hassle. It is aimed at web designers, but people from other industries are also using it, including bookkeepers, digital marketers, coaches, and engineers. 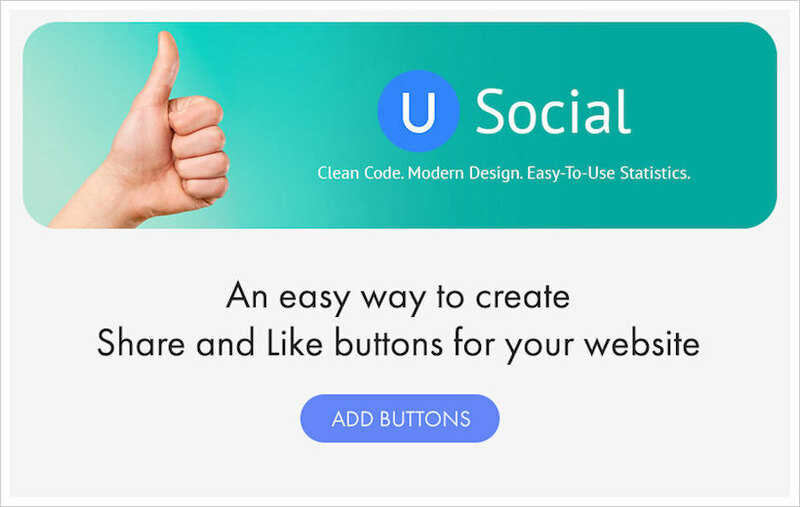 “Like” and “Share” buttons created with uSocial have trendy design and can be easily applied to all devices. It takes as little as a few minutes to install buttons to a website with the help of the builder. The supported social media are Facebook, Google+, Twitter, LinkedIn and many more. Add the buttons and track statistics and the number of shares with a counter tool. Many times we need a beautiful logo but our time and budget is limited. Instant Logo Design is a simple-to-use logo design software that can deliver you a great logo in less than 1 minute and for prices starting from $29. uCalc.pro offers online calculator templates for any kind of website including, construction and repair, car service, delivery service, cafes and restaurants etc. You can create a calculator with the help of a user-friendly builder that doesn’t require any coding skills. Your calculator will also be able to collect contact details, send notifications to your email and create invoices in PayPal. 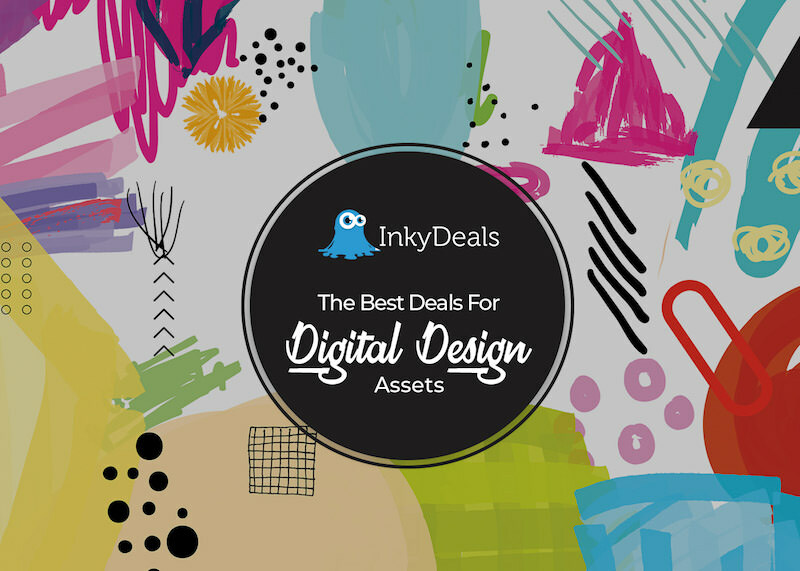 Inkydeals is providing hugely discounted digital design deals for web professionals. Check the website where you will find high-quality resources at unbeatable prices for designers (beginners and veterans alike). 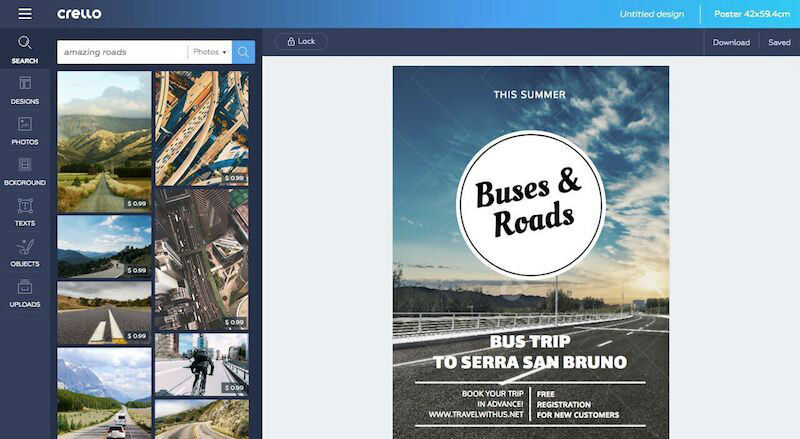 Crello is an easy-to-use design tool for creating stunning visuals including, designs for digital ads, animated posts, social media and more. It is easy to use — it doesn’t matter if you are an experienced designer or a beginner. Crello was made for marketers, social media specialists, entrepreneurs, bloggers, and anyone who needs a simple solution for their creative projects. There are 12,000 free templates and more than 60 million stock photos. With over 50,000 websites to get more leads and grow, MailMunch is a popular solution to grow your email list and convert visitors into customers and subscribers. It lets you create multiple types of opt-in forms so you don’t have to rely on one way of collecting leads. The solution includes popups, embedded forms, top bars, slide boxes and more. There is a free option and the premium plans start from $15 per month. Take your design to the next level with this powerful WordPress page builder. There are over 900,000 users that enjoy creating stunning websites with Elementor. This builder is lighting fast, everything loads in real-time and you have a strong interface with everything needed. From small companies to large enterprises, Controlio is the perfect solution to monitor employees PC activity from anywhere. You can easily check user desktop, see if he is available or away, or which apps and websites he is on. 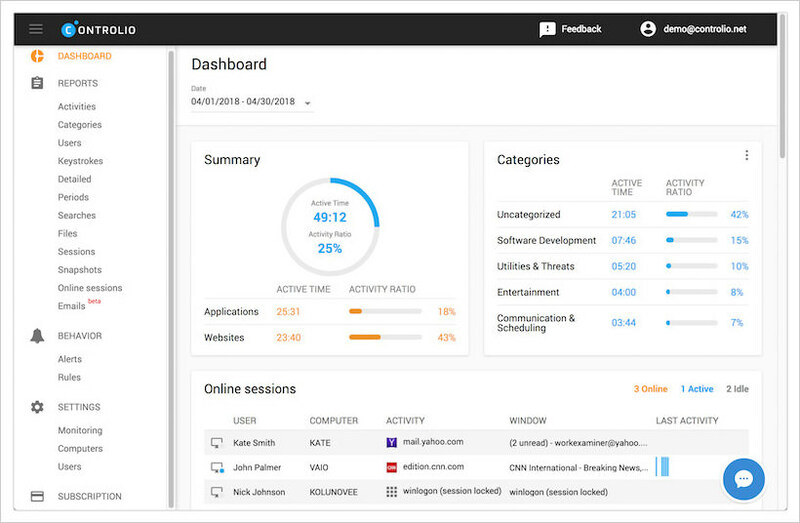 By offering to monitor the usage scenarios on the website, Controlio can be used in many ways. UpTimeRobot is a great service to know if your website is up and running. Every 5 minutes there are 50 monitors that will check it and all of that is totally free with more than 500,000 happy users. 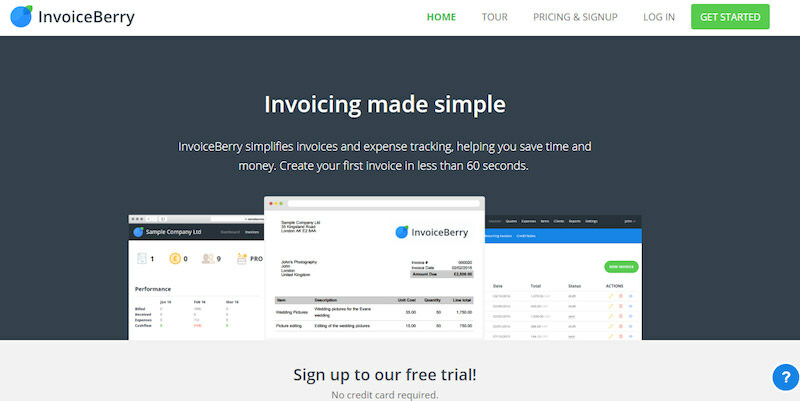 InvoiceBerry is a great invoicing platform where you can create fully customize invoices and send them in less than 60 seconds. It is loaded with functionalities like, creating reports, tracking expenses and much more. The pricing starts from $15 / month. 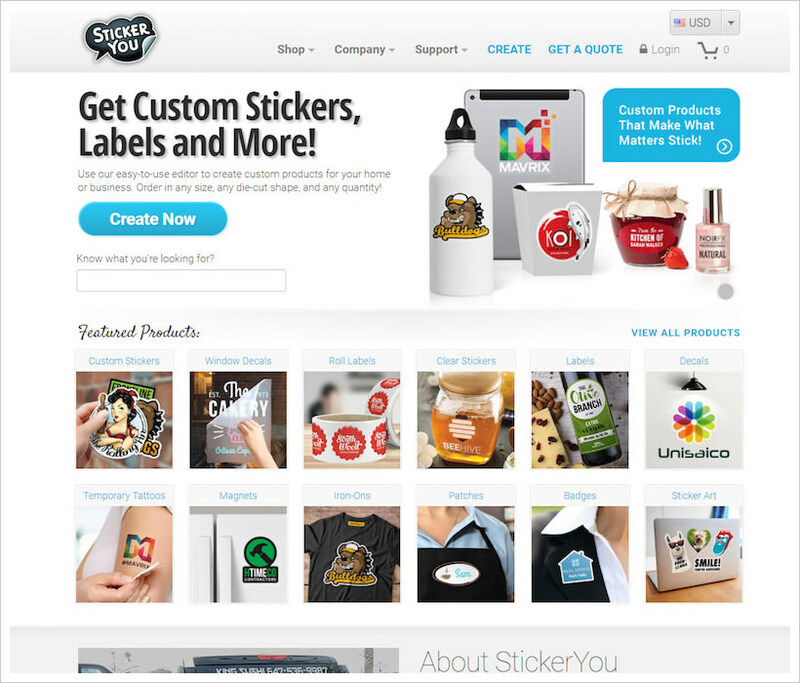 StickerYou sells custom labels, decals, stickers, temporary tattoos and more. You can print any size, shape, and order quantities to make your message stick. Our vinyl logo stickers are perfect to brand your business. What are you waiting for? Make it stick! Foxy.io represents the future of custom ecommerce. 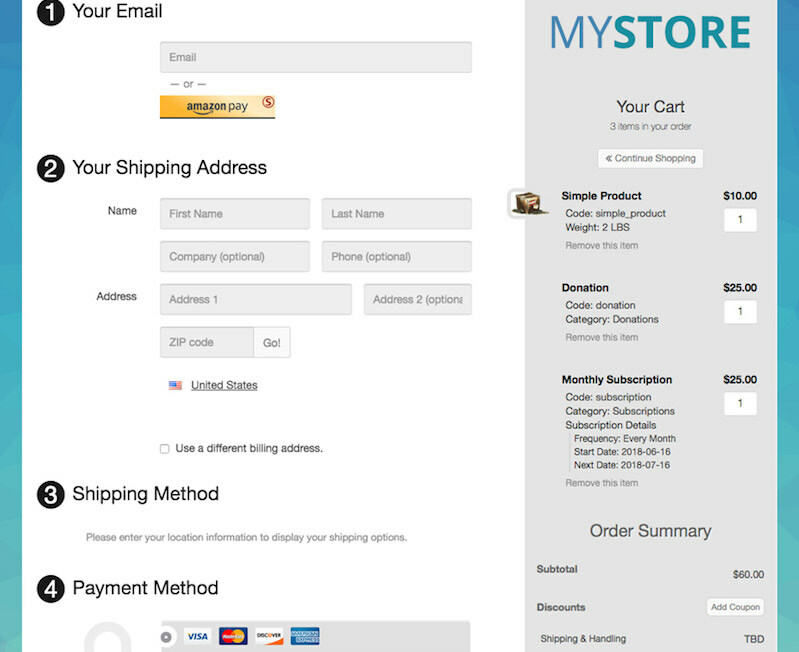 Its hosted cart and payment page allow you to sell anything, using your existing website or platform. Easily integrate with WordPress, Webflow, Wix, Webflow, Squarespace, and anywhere you can add a link or embed HTML. Take advantage of coupons, discounts, live and custom shipping rates, automatic tax calculations, and more. 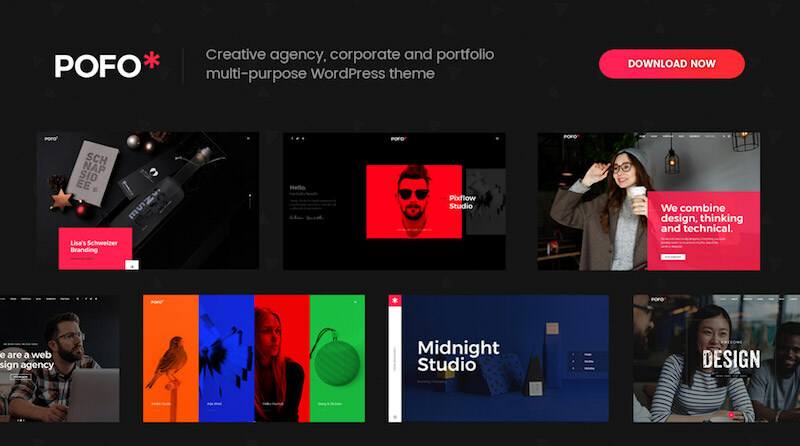 Pofo is a highly creative and modern Bootstrap responsive multipurpose corporate and portfolio WordPress theme with 25 ready homepage demos. It comes with pixel-perfect graphics and is loaded with the latest features that will make your website look stunning. Pofo is blazing fast, search engine optimised, WooCommerce shop ready and coming with WPBakery page builder and revolution slider. 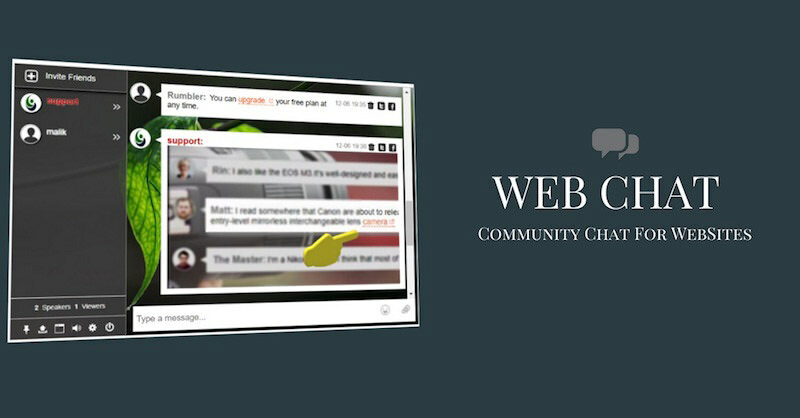 RumbleTalk is the web chat that you can implement on your website in minutes. It allows you to have a direct connection with your website visitors that ensures better conversions while spending only a few bucks. You can start with the RumbleTalk’s free forever plan and upgrade it (for advances features) when you need it. 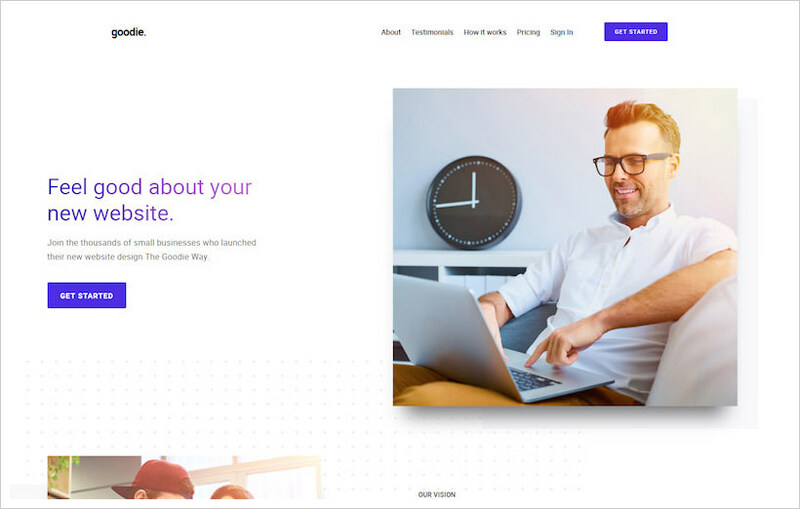 WrapPixel offers a range of templates, like PSD templates, website templates, admin dashboard templates, free HTML templates and free admin templates etc. WrapPixel is built with a strategy, that works excellent, to offer you fewer but high-quality items.